- Light Up Sun Glasses with Sound Reactive Mode! 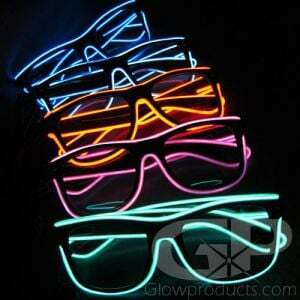 - Dark Lens EL Wire Glasses with Full Frame Glow! - 3 Modes: Steady Light, Strobe and Sound Reactive! - Watch your LED Sunglasses Flash to the Music! 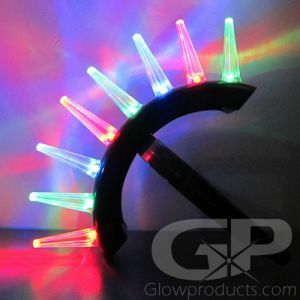 - Rave Glasses for the party, concert or lighted event! Finally you can truly wear your sunglasses at night! Check out our full frame Light Up Sun Glasses with Bright Electro-Luminescent Wire and built in Sound Reactive Mode! 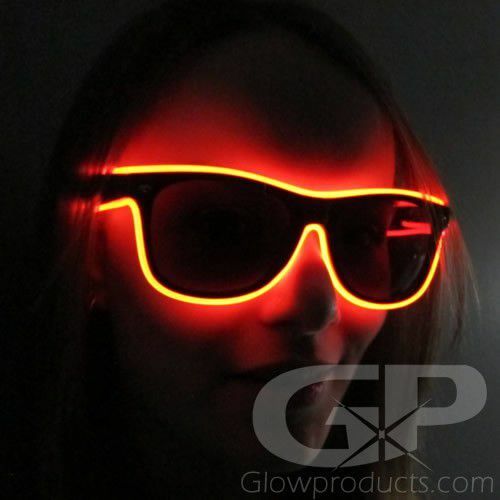 These glow in the dark sunglasses have dark lenses - with the glass so dark they won't even know your name! 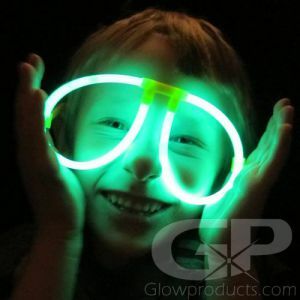 The Glowing EL Wire Eye Glasses have three light modes - steady light, flashing and a fun sound reaction mode that makes the glasses flash to the beat of the music! The embedded Electro-Luminescent wire glows around the entire frame of these light up glasses! 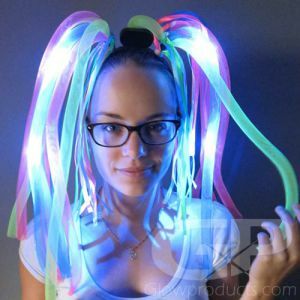 Available in a selection of bright glowing colors the Light Up LED Sunglasses are great rave glasses and are a must have glowing accessory for your next party, concert, special event, festival or costume! Instructions: Each pair of glowing EL Wire Sunglasses has three light settings that include a steady light mode, a flashing light mode and a sound reactive mode that makes your glowing glasses light up to music! 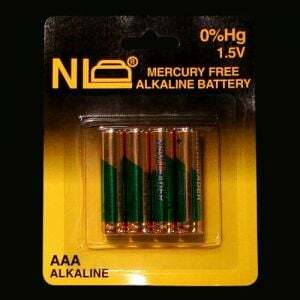 Simply insert 2 pieces of AAA batteries and use the button on the side of the battery unit to turn on and circulate through the 3 light modes. Use the dial next to the power button to increase or decrease the sound sensitivity on the sound reactive mode.